Home Oral Health & Hygiene Dental Cleanings: Are Ultrasonic Cleanings Better than Hand Instrument Cleanings? Recently, an anonymous reader sent me a question asking about the differences between the instruments that dentists can use for cleanings. It reads: For cleanings, my dentist uses a plaque scraper and the rotating buffer thing. 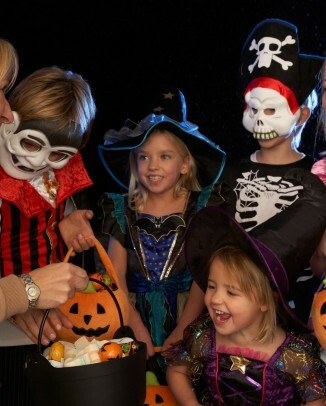 Other dentists in the area advertise ultrasonic cleanings. What is an ultrasonic cleaning? Does it provide any additional advantage, or have any disadvantages? 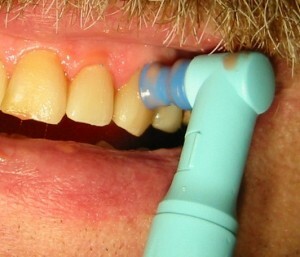 First of all, there are two main techniques for removing plaque and tartar from your teeth – manual and ultrasonic. A manual cleaning is done using hand instruments such as those pictured to the left. An ultrasonic cleaning means that the dentist is using a special instrument that vibrates at a very high frequency to remove the plaque and tartar. The ultrasonic instrument also sprays a stream of water toward your teeth. Here are two examples of ultrasonic instruments: the Cavitron and the BlisSonic. Polishing the teeth after removing plaque and tartar. 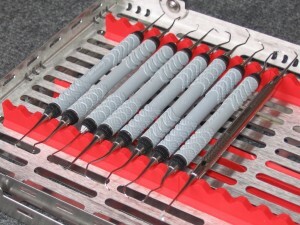 Regardless of the technique your dentist uses, the dentist will still use the rotating rubber cup with dental cleaning paste to smooth out and polish the teeth, as shown in the picture to the right. Which Is Better, Ultrasonic or Hand Instrument Cleanings? Based on the results of these two comparative studies, the power-driven inserts or the various ultrasonic scalers tested did not remove more tooth substance than conventional hand instruments. They may thus be a useful alternative for the debridement of root surfaces. They found that the ultrasonic scalers may not remove as much tooth structure as the regular hand instruments. In summary, the ultrasonic instruments do have many advantages when compared to the hand instruments. When a patient has lots of plaque and tartar build-up, the ultrasonic instruments are great at quickly cleaning the teeth. However, many dentists prefer to simply use hand instruments when there is only a small amount of tartar on the teeth. Many people go to the dentist twice a year to get cleanings. When I see a patient with excellent oral hygiene and excellent teeth, it doesn’t make much sense to use an ultrasonic scaling instrument for their cleaning because there is such a minimal amount of calculus to remove. Some patients have very little calculus because they floss regularly and brush with tartar-control toothpaste. When someone has just a small amount of calculus to clean off, I find it easier to just quickly use the hand instruments and then polish the teeth. Using the ultrasonic instrument requires setting it up as well as sterilizing it afterward, so it makes more sense to quickly grab a tool to take care of a small problem. Perhaps a simple analogy will illustrate this point. Suppose you use a drinking glass and need to wash it. You could either wash it by hand or put it in the dishwasher – but you have no other dirty dishes to wash. You would most likely wash it by hand rather than run it through a cycle in the dishwasher, right? Well, for similar reasons, your dentist may elect to take care of small amounts of tartar with hand instruments. Have you had an ultrasonic cleaning? Did your mouth feel cleaner afterwards? Did you think it was more comfortable? Some people prefer the ultrasonic cleaning, some don’t. If you have any questions or comments, feel free to leave them in the comments section below! I have asked my hygenist to discontinue ultrasonic scaling. As I get older I have more gum recessions and exposed nerves (or whatever goes on with the recessions). Hitting one of them with the ultrasonic is terrible, and as time went on I found that just getting near them caused enough discomfort (maybe more anxiety, but real pain too) that I just had enough. Fortunately I am blessed with good teeth – very little tartar/calculus buildup, and I take care of them at home very well. I hate to make more work for my hygenist, but like I said, I had enough. And I’m finding out it’s not that much more work – just less than optimal results. 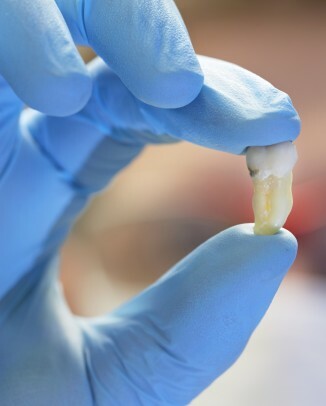 I experienced the first ultrasonic cleaning of my teeth today – May 21/15. I do NOT feel that my teeth are cleaner than when done by the scraping method. I had no discomfort and found the procedure to be very quick and thorough. Not sure if I will have ultrasonic cleaning again and may request the old scraping method and perhaps alternate between the two procedures. My sister graduated from UVM hygiene school in the mid 70’s. It was before ultrasonic was available. I have two objections to ultrasonic cleaning. 1. 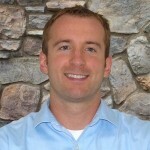 As mentioned by Greg, above, the ultrasonic is painful to “old” sensitive teeth. 2. Hygienist using the ultrasonic are less skilled with the hand tools for two reasons. A. Hygiene school gives them less training and practice, knowing that the ultrasonic will be the primary cleaning instrument they will use, and B. most dental offices do not require the hygienist to own and care for (sterilize & SHARPEN) her own instruments. Ask your dentist. “How often are hygiene instruments sharpened and who sharpens them?” My dentist office out-sources the sharpening and they only send the instruments out once a month. In the last ten years, I have yet to have my teeth cleaned with sharp instruments by a hygienist skilled in using hand instruments. Think about this: if your gums and teeth are sore after a cleaning and you brush and floss every day, you are most likely getting your teeth cleaned by either/or an unskilled hygienist or dull instruments. I would have to disagree with your statements. In regards to A) students have less training in manual instruments as ultrasonic will “be primarily used” is absurd and not accurate in any sense. Speaking from experience and not just merely assumptions (as a graduate of an accredited college 3 year Dental Hygiene program) hand instruments were the core and primary instruments in which we practiced with, in fact, of the six semesters the ultrasonic was only to be used in the fifth and sixth of clinical practice to ensure that the primary instruments (MANUAL NOT ULTRASONIC) in which EVERY office uses were thoroughly understood and that the student was skillfully trained in the usage of these tools. We went through (and this is referring to all programs in regards to dental hygiene) endless tests and clinical hours in order to provide excellent care to patients as we are to graduate as health care providers. Contrary to what you may think MANY TRADITIONAL OFFICES Do NOT HAVE AN ULTRASONIC (again speaking through experience as being an licensed, working, profressional hygienist). The program in which your sister would have graduated would have been a one year program we now must complete at least a 18month condensed course to a four year degree in order to practice (at least in Canada) meaning we do have additional training in all new technological advancements in order to successfully use any tool to effectively do our job. I do agree that the ultrasonic can be uncomfortable if areas of recession/root exposure are present, this is due to the vibration of the instrument, water temperature and fact that root exposed areas are lacking protective enamel covering. The hygienist whom is providing the services should be taking this into consideration when assessing which instrument type is most beneficial for EACH patient. Many individuals can benefit from the ultrasonic although it is not for everyone. In regards to your office only sending instruments off for sharpening once per month you should be looking for a new dental clinic in which has higher customer service expectations and standards as this is unacceptable. Unfortunately, there are offices that do not maintain instrument sharpness and this is an injustice to both the hygienists and the patients, however, again do not assume that this is what is taught and expected of the profession and that all offices are the same. I have myself been complemented many of times over the course of my career that I am “a gentle hygienist” yet for some individuals a cleaning may still be difficult and/or uncomfortable and the gums may be tender following debridement, again, many factors to take into consideration here, unless you have optimal at home care, cleanings can be uncomfortable but they are still necessary. Medical conditions, mouth breathing, xerostomia (dry mouth) all play roles in the comfort of cleanings as well as they play roles in gingival health. It is important for your hygienist to take everything into consideration and to try to provide the most comfortable cleaning as possible while still doing a thorough job. Not all recent graduates are terrible and not all veteran hygienists are great and vice versa so try not being so judgemental in the future it is not a great personal characteristic to have. I recently had an ultrasonic cleaning for the first time. I had a heart attack a couple months earlier and my gums were inflamed as well so it was suggested over cleaning by hand tools. It was fantastic! Inflammation gone. The gum swelling disappeared…my teeth felt cleaner…and …I’ve never had less pain. I am going to request this technique from now on! I didn’t have much of a preference before I read this article. Before I was pretty impressed with the ultrasound technology but it’s clear how much less practical it is. I’ll have to talk with my hygienist about it next time I visit. Does ultrasonic cleaning degrade fillings in any way? Specifically concerned about amalgam fillings is there any amalgam (mercury) residue remaining in the mouth, on the instruments, etc. Thank you for your website! When I clean teeth, I always attempt to clean every trace of tartar, (and polish, removing any left over plaque) on NHS or if it’s a hygiene appointment. Any amount of residue of mercury (within the amalgam filling) will get sucked up by the aspiration. Also, the amount of mercury you get from the amalgams, is less than the amount you get if you eat fish). I just had my first cleaning with the Cavitron. It was so painful that I had to ask her to stop and finish with the “old fashioned” way of cleaning teeth. To me it just seems like a way for the hygienist to do her job faster, not necessarily better and she seemed unconcerned about the amount of pain she was causing. I am someone who actually enjoys getting her teeth cleaned and go at least twice a year. I plan to request a new hygienist and won’t allow the Cavitron to be used on me again. I was told by a peridontist because I had a couple of 5 and 6 pockets I had to have Cavitron four times a year. I dread it. They have to give me nitrous plus numb my whole mouth. It is so painful. I agree I just had this done for the first time . I am extremely pissed at the dentist. I have a cracked tooth because I grind my teeth so bad .She knew I was in pain just finished an x-ray and knew my gum there was infected. She just kept going very rude. One side of my face has lost feeling and my mouth is now drooping. More to the point, where can we purchase one? What are the good/cheap products of this type? Is ultrasonic scaler the generic name? Can one use one on oneself? I have been getting worse and worse gum pockets as Japanese dentists teach me to brush gently along the line between my teeth and gums. Through my own fault, my gums have got worse and I am now in danger of loosing my teeth. But hold on a minute, my Japanese dental hygienists, who are no busier that I am, do not use the techniques that they teach. They use metal manual tools, these ultrasonic/water jet descalers, and rotary brushes. I have jet of water (Panasonic Doltz and hose attachments to my taps), and now I getting a rotary brush (Braun Oral B) and I am wondering about getting one of these descalers. I just had ultrasonic cleaning & loved it, but a few days later I started having ringing in my ears. So I don’t know if that is causing it & the chance of getting tinnitus, which I hope & pray I don’t. Or if I have wax buildup in my ears, because my ears have never been cleaned & the cleaning irritated that or an infection. Talked to my dentist and if they don’t clear up in 3 days then I will need to see a ENT doctor…. Has anyone experience this before? The ringing is unbearable at times !!!! I saw a different hygienist at the same practice for the first time in over ten years. My regular hygienist always used the ultrasonic on me. The ultrasonic cleaning was never mentioned or nor was it suggested that I have it. I am very sensitive to it and that’s the one thing I dread about my hygiene appointments. and thought I had to have it. When making my next appointment I asked if I had to make it with my regular hygienist or with the current girl. She said I could do whatever I wanted. I booked appt. with the new girl. No more ultrasonic for my super sensitive teeth. I had this done for the first time yesterday. I have healthy teeth, but do have a small amount of recession in some places. This resulted in an EXTREMELY painful experience with the ultrasonic scaling. 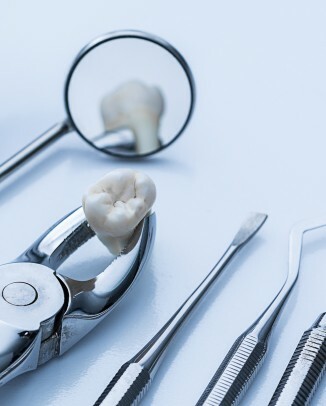 The hygienist said the discomfort I felt was just an ‘odd sensation’ caused by the tartar popping off, but it was not – it was nerve pain, and it was very, very uncomfortable. I’ve never had fear of going to the dentist, but if I ever need to have the ultrasonic procedure done again, I will go to a dentist who will sedate me first. I’ve felt anxious ever since the appointment, and still keep having ‘flashbacks’ of the nerve pain. I will not do that again. A 4th year dental student usually cleans my teeth, but because of her busy schedule I had a newer student this time. Perhaps it was his technique, but the Cavitron he used was just torture.. It felt like needles were being inserted deep into my gums. I’ve had one molar removed and several major fillings and this was the worst dental pain I’ve experienced. When the dentist checked out the student’s work she told me that one of my molars had several microfractures in it and will need a crown. I had no pain in this tooth before the cleaning and now it’s killing me. I’m very nervous to try it again on my 40 year old teeth. I believe that in the wrong hands this time saving tool may be dangerous to older, weaker teeth. Just had ultrasonic cleaning and it was pleasant enought but I have the same feeling 2 weeks later at my gums as I normally would a year after manual cleaning. Feels like its time for a cleaning already. I am a hygienist and have been practicing for23 years. I tend to handscale more than using the ultrasonic. I understand the studies done that state the benefits of the ultrasonic but find my patients are maintained quite well without it. I was recently told quite blatantly by another hygienist that I was performing substandard care. Mind you, I use it when a patient has heavy calculus, inflammation, and stain, and always when doing rootplaning, unless of course there is a health issue where it’s use is contraindicated. What’s your opinion? Am I providing substandard care to my patients? PS: why don’t Hygienists scrape the crown of the molars-they just polish them? Is it because the shapes are too complex and no instrument can do it? Thank you. That clarifies it for me. I have strong, healthy teeth and I hate ultrasonic cleaning with a passion. I find manual cleaning leaves my teeth feeling better, possibly because the hygienist at my dental practice seems to get a bit lazy and thinks the ultrasonic cleaner requires no effort. I’ve often found stains left on my teeth after ultrasonic cleaning which are easily removed with hand cleaning and polishing. Plus, it hurts! If the probe is held in one place for a few seconds I can feel my tooth or whatever it’s being used on get hotter and hotter until it becomes unbearable. My hygienist says this isn’t possible but I recently read ultrasonic cleaning may not be suitable for people with temperature sensitivity. I don’t get pain from hot or cold drinks though, just that damn ultrasonic probe! If they are so powerful,can they cut your mouth,gum? I have been a dental hygienist for 30 years, all but 4 working for a periodontist, so I see the most diseased mouths. The pain patients experience with ultrasonic scaling is real and shouldn’t be dismissed. I use the ultrasonic very judiciously and not as a first resort on well maintained patients because it is uncomfortable on exposed root surfaces, which 99% of my patients have. I always use it during root planing appointments, but the patient is typically anesthetized. I have found that newer dental hygiene grads rely solely on the ultrasonic and are almost mystified when asked to hand scale; a very ” one size fits all” approach. A lot gets missed if ultrasonic scaling is not followed up with hand scaling…. And I end up doing the cleanup as these patients are sent to me after their disease progresses despite being seen for regular cleanings at their general dentist. Bottom line- if a procedure hurts, speak up. You can’t get a thorough cleaning if you are constantly wincing, because most hygienists will back off and leave calculus behind at that point. If they don’t, they are a sadist and you don’t want them as your provider. I had my teeth cleaned about two weeks ago. Evidently there was a lot of buildup even though I brush carefully twice a day and dental floss daily. (For a few years I ate very little starch to control somewhat high blood sugars. During that time the hygienist had little to do in cleaning my teeth. Lately I have started eating starches in the morning when they don’t seem to raise my blood sugar. Maybe it’s the starch, or some starches, that causes most of the tarter buildup.) Anyway, the hygienist used an unltrasonic scaler, and I hated it. It makes an awful shrieking noise and hurts! Before the cleaning I had a back tooth that I thought might have a cavity forming near the gumline. (The tooth is crowned.) Immediatly after the cleaning that same back tooth started having pressure sensitivity and it didn’t before. It has gotten worse rather than better. So, now I’m worried I will need a root canal done. I just had an ultrasonic cleaning. I was not familiar with this type of cleaning. About a day or so later I was running my tongue over my teeth and the back upper/lower teeth surfaces felt rough. All 12! All of these teeth have had corrective work…a variety of crowns, fillings, etc. I returned to the dentist with this complaint and his position was that it was normal wearing. I think it odd that all of these teeth “aged” simultaneously. Also metal at one surface edge is showing thru the white surface of one molar crown. I think this was not the case before cleaning. I have very, very clean teeth and have no stains and very little plaque. I love the ultrasonic cleaning. It is fast, my teeth feel cleaner. It is slightly painful, and teeth roots feel sensitive for a few days after, but that is just because the tarter is gone. I’m almost 50 and never had a cavity, root canal, or extraction. My dentist, who has been doing my teeth since age 20, died a few years ago. (So, I’ve been getting this done for 30 years now.) 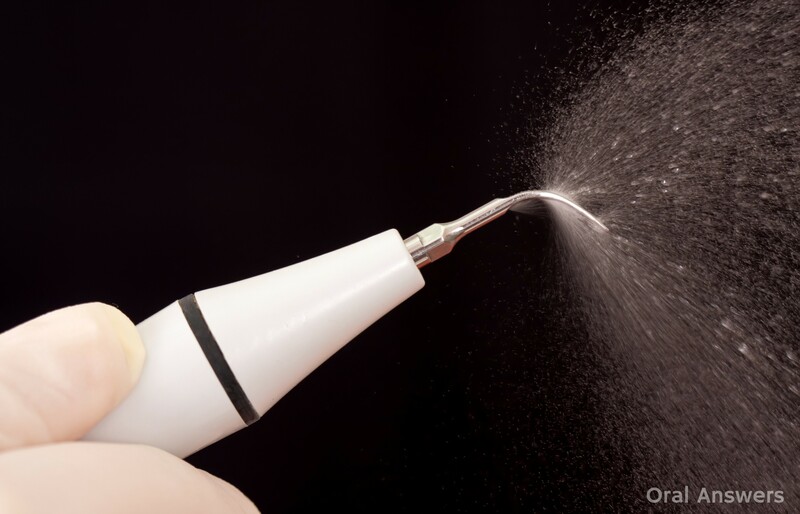 It was hard to find a practice that used the ultrasonic scaler for regular cleaning. Also, the dentists don’t clean my teeth – like my old dentist did. Hygienist’s do it now. I never felt my teeth were as white or as a clean when done manually. My understanding is it cannot be used if you have a lot of dental work, because it will also remove those. I am not sure if that is true, but sounds plausible. Anyway, I am huge fan of the ultrasonic cleaning. It’s the only way to go! I’ve just returned from my hygienist today and I have been getting the ultra-sonic treatment for the past 3-4 years. I don’t have so much of an issue with the sonic treatment itself, but rather with the freezing cold water that is used in it. When I asked my hygienist to adjust the temperature control a little, her reply was ‘what temperature control?’ Apparently the sadist who designed this equipment thought it a wheeze to blast ice cold water at sensitive teeth. Technology in this area seems not to have kept pace with other environments. If you look around any dental practice you will see high-tech computers that can display HD images and record any amount of data about its patients, while the equipment being used would be, for the most part, totally recognisable to a practitioner of the mid 19 century. I had to ask her to stop the treatment and resort to the hand tools. I love the ultrasonic for cleaning my teeth. But I don’t like the ultrasonic for cleaning my nethers. Six months ago I had ultrasonic cleaning and it was quite painful. At my latest examination I was told that two fillings had fallen out. I expressed surprise , but the dentist said that it happens. I was then sent to the hygienist and again experienced pain. This time I noted that it occurred when he inserted it between my teeth. I suspect it was a tight fit. Could the high frequency vibration have loosened the fillings. I am 85, in case that is relevant. The hygienist said before starting the clean that I had only light scaling and slight staining. I’ve been going to the dentist my entire life twice a year. Up until my last visit, manual planing was done. I have gum recession, so my hygienist was very careful in sensitive areas. My last visit was with a new dentist/hygienist. The first thing different was that the hygienist said she was going to polish my teeth first. She told me I might think this was backwards, but that it helped her to see what needed to be cleaned better. Then she used the ultrasonic cleaning method. Absolutely hated it. When she was finished she told me that only one place on my gums had bled…as if that was some accomplishment. I found that strange since I have Never had a problem with gum bleeding at all in all my previous dental visits of 50+ years. Needless to say I’ll not be having that cleaning again. Hi. The water spray is very cold – too cold to be honest during the ultrasonic scaling. It is probably just connected to the cold water supply. Is there a chance my hygenist could add hot water just to lower the temp a tiny little? On May 10, 2017 I had an ultrasonic cleaning for the first time. When it got around to my molars, it generated an excruciatingly high-pitched tone and serious discomfort. I had to ask the hygienist to STOP immediately! And, it aggravated my existing tinnitus (ringing in the ears). I urge you to discuss the necessity of ultrasound BEFORE the hygienist begins to blast away. This treatment can be very dangerous. Frankly, I am shocked there is NO pre-treatment cautionary discussion before you are exposed to this piercing, painful, potentially damaging procedure. I have had ultrasonic cleanings and, especially on my top teeth, it is excruciating. 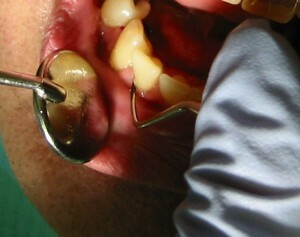 This is not from placing the instrument in proximity to the gumline, but rather when it is applied to the main parts of the teeth. I am quite certain that my nerves are just more exposed/sensitive than some people, and this procedure is no longer possible for me. The hand instruments work just fine and cause little to no discomfort and no bleeding whatsoever. I go get my teeth cleaned tomorrow and imma be sure to ask for the old fashion hand cleaning. i refuse to endure that pain bad enough my bottom 4 are aching from this calculus build up. Pray for me. How much does cleaning normally cost? I had Ultrasonic cleaning for the first time last week- I jumped out of the chair [almost] when the Dentist hit a nerve. Hit several nerves after that but she just told me to tough it out. A week later one of my fillings fell out. Had my first ultrasonic cleaning today. It was pretty painful, but I do not think it was that much more painful than manual cleanings I have had in the past. I am more concerned about the vibration of the instrument against my teeth. Can’t such vibration speed up the failure of any bonding agent used to affix crowns? Or, can such vibration literally shake loose existing fillings? I found one research article stating “ultrasonic instrumentation and thermal cycling influence the tensile bond strength of crowns cemented with zinc phosphate cement,” and “caused a significant reduction in tensile bond strength.” Now I realize zinc phosphate cement may be just one of several options, but I would think that no matter what the bonding agent is, if the ultrasonic process damages one bonding agent in a “significant” way, it could also have the potential to do similar damage to others. I really would like to see more objective studies on this phenomenon; studies not funded by manufacturers or those that that have a vested interest in this technology.